The situation in the zone of the Anti-Terrorist Operation remains difficult, with the signs of escalation at certain sectors of the contact line, the ATO press center wrote on Facebook. Over the past day, pro-Russian armed militant groups opened fire 57 times on the ATO forces, with the increased use of heavy artillery, banned under the Minsk Agreements. The militants attacked 29 times the Ukrainian troops in the Primorske direction. In Donetsk direction, 26 violations by militants of ceasefire agreements were recorded. Read alsoUkraine's Krasnohorivka under attack: Hospital, university block, houses damagedThe situation remains most tense in the suburbs of Avdiyivka. Last night, the area near Luhanske and the Svitlodarska bulge also saw escalation. 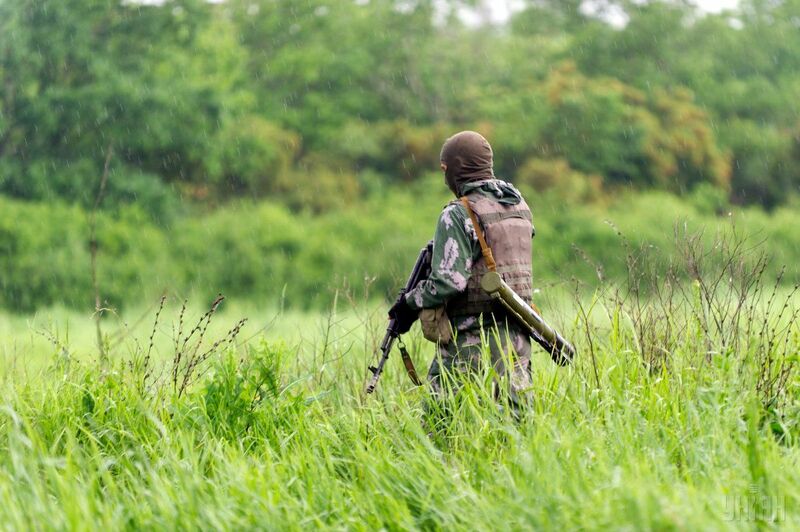 Illegal armed formations over the past day attacked only two times in the Luhansk direction. "As a result of hostilities in the past day, five troops of the Armed Forces have been wounded in action," the report said.